specialized medicine is emerging as a critical asset in a development strategy. based on biomarker selectivity, accelerated regulatory approval and better reimbursement. ensuring a smooth co-development timeline under budget. a diagnostics company having the needed diagnostics selectivity. objective measurement of disease progression or effective treatment. the two clinical criteria (accuracy and reliability) are absolutely crucial. accuracy and reliability each earned an average rating of 4.6.
who will respond effectively to a drug. nor will it be widely used. The third most important criteria in selecting a companion diagnostic test is speed, earning an average rating of 4.3. It is critical because investigational compounds are on a strict development timeline of their own. regulatory approval or market access and reimbursement. Because patent protection for a compound is finite, delays can be costly, so most companies would rather spend the extra money to ensure the test is developed quickly. Those additional costs can be recouped if the drug and the companion diagnostic test enter the market sooner than expected. Cost, earning an average rating of 4.0, ranked last on the list of test selection criteria. Because all, or most, of the companion diagnostic program will be developed outside the pharmaceutical company, cost is a relevant consideration when selecting a test. 1.2 Refining Processes for the Co-Development of Genome-Based Therapeutics and Companion Diagnostic Tests: Workshop Summary. The draft guidance on companion diagnostics from FDA recommends developing both the test and the drug together, which creates a new opportunity for developers to work and learn together to more clearly define a process and to coordinate a timeline for development. The performance of a companion diagnostic is closely tied to the performance of the associated drug, and this relationship is essential for determining the safety and effectiveness of the products for patient use. The major challenge for co-development is more commercial than regulatory because there are inherent differences in developing tests and drugs, including mismatched markets and resources. Combining the cost of a test and a drug may provide a solution for aligning market differences and accelerating regulatory approval and reimbursement decisions for two different products. Elizabeth Mansfield, director of the personalized medicine staff in the Office of In Vitro Diagnostics and Radiological Health at FDA, described the historical development of FDA’s policies for companion diagnostics and the main features of the companion diagnostic draft guidance. to determine if a patient would benefit from hormone therapy in treating breast cancer. who tested positive for human epidermal growth factor receptor 2 (HER2) in 1998. FDA also approved a test to examine HER2 levels. One reason for having a test was to decrease risks, Herceptin’s cardiotoxic side effects are now well known. In the case of the drugs Selzentry and Tykerb, which were approved in 2007 and whose use depends on test results, a companion diagnostic policy was not yet in place when they were approved and FDA did not apply the policy retroactively. that account for genetic information. the development of tests that would support therapeutic approval. FDA also realized that companies want predictability in the regulatory process. but the test performance is closely tied to the performance of the associated drug. to understand the safety and effectiveness of the drug. since test performance actually is a measure of the drug performance. how to adequately label a drug. held a 90-day comment period. for efficacy, for safety, or for other purposes. diagnostics used for other purposes. only perhaps 15 companion diagnostics had been approved (see Table 2-1) at the time of the workshop. effectiveness needs to be demonstrated, so it is primarily a regulatory concern. PSA tests for diagnosis, which are classified as a Class III device. clinical trials cannot be run for every marker and every condition. by showing that the drug produces better outcomes. Next-generation sequencing will find many variants, but they will not always be targets for a particular disease, he said. the ability of FDA-designated breakthrough therapies from coming to market. substantial improvement on a clinically significant endpoint compared to available therapy. FDA laid out the qualifying criteria, features and submission and response timelines for the breakthrough program in its June draft guidance on expedited pathways (“FDA Expedited Programs Guidance: “Available Therapies” Depends On U.S. Standard Of Care” — “The Pink Sheet,” Jul. 1, 2013). an organizational commitment that involves FDA senior managers. The program, which is just a year old, has proven immensely popular with sponsors thus far. As of Sept. 6, the Center for Drug Evaluation and Research had received 85 requests for breakthrough designation, granting 27 and denying 35. The Center for Biologics Evaluation and Research had received 10 requests as of Aug. 31, granting none and denying eight. Many of the drugs for which breakthrough designation has been granted include a companion diagnostic, according to agency officials. the requirement that physicians use a diagnostic test to determine whether each one is right for a patient. analytical tests that are required for the safe and effective use of a drug. identify those individuals most likely to benefit or experience side effects from a drug. included in or excluded from clinical trials and prescriptions. Such tests become necessary when there’s no other way to identify appropriate patients. Xalkori and Zelboraf are not the first drugs to use companion diagnostics. That honor goes to Herceptin, Genentech’s drug for HER2 (human epidermal growth factor receptor 2)-positive breast cancer, which was approved in 1998. What was once unusual is now poised to become mainstream. On July 6, FDA approved a companion diagnostic from Qiagen to identify appropriate patients for a new indication for the cancer drug cetuximab, which is comarketed by Eli Lilly & Co. and Bristol-Myers Squibb as Erbitux. to outline the regulatory process. because that’s where the science is leading them. might be expressed in one type of breast cancer but not in another. On the basis of the receptor’s expression, breast cancer can be divided into multiple subtypes, including HER2 positive or estrogen receptor positive, among others. By correctly identifying patients, pharma companies can target these different subtypes with different drugs. “We’re following the scientific understanding of disease into the clinic,” says Garret M. Hampton, Genentech’s senior director of oncology biomarker development. (technically manageable) with confusing results. with what other drug in a non-candidate? LIKELY responders to therapies that are specific for patients with specific molecular profile. they are not alike with respect to efficacy of treatment with a standard therapy. question without regard to other clinical issues. rapidly declining cost to obtain. The limitation example given is HER2 testing for use of Herceptinin therapy for non-candidates (HER2 negative patients). A comprehensive solution of this nature appears to be a distance from realization. lead to tomorrows treatment decision support approaches? As a starting point, L.E.K. characterized the landscape of available tests in the U.S.
compiled from ~50 leading diagnostics companies operating in the U.S. Response DX: Lung Response Genetics, Inc.
that provide guidance on single drug/class therapy decisions. growing the fastest at 56% CAGR. ~150 leading organizations operating in the U.S.
emergence of more holistic solutions beyond diagnostic tests. (biomarker discovery, companion diagnostics and targeted therapies). (e.g., Knome, Foundation Medicine and 23andMe). in influencing care decisions going forward. the industry is now moving along the continuum to a truly holistic capability. which is a source of variability and a key to its success. particularly in the absence of substantially reduced renal function. of the formed elements from the blood-forming organ into the circulation. finding an underlying structure in studied data sets. (and associated sepsis) is a costly diagnosis in hospitalized patients. a potential financial and safety hazard. defined criteria by the clinician. we do not search for the external aids their minds require”. the situation could be improved. would likely act on in an easily accessible manner. corresponding criterion needed for a decision. that are transcribed into what we measure. to assign values for each: message choice. The number of messages and the number of choices forms an N-by N table. there is risk of loss of information. a combination of variables falls into a table with meaningful information. uniquely variable groups by information in test relationships. The reference or null set is the class having no information. and Vermunt, and work by Coifman. liver, esophagus, thyroid, and parathyroid]. and suggests quantitative diagnostics options. our system with severe SIRS at a grade of 0.61 .
information theory. Yale J Biol Med 1999; 72: 5-13. Clinical Biochemistry (NACB) Fetal Lung Maturity Assessment Project. 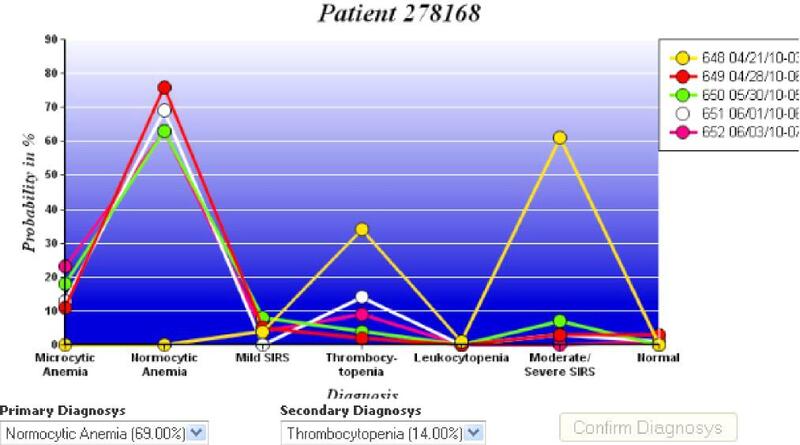 Clin Chim Acta 2002; 326(8): 61-68.
utilizing clinical features and laboratory data. Yale J Biol Med 1999; 72:259-268.
classifying patients with chest pain. Yale J Biol Med 2002; 75, pp. 183-198.
and regression.C. R. Acad. Sci. Paris, 319 Série I:191-196, 1994. W Ruts, S De Deyne, E Ameel, W Vanpaemel,T Verbeemen, And G Storms. Research Methods, Instruments,& Computers 2004; 36 (3): 506–515. presented single words:A reaction time analysis [Technical memorandum]. Murray Hill, NJ: Bell Laboratories..
individualize the therapy to the specific type of cancer and patient. have made it unfeasible to test for only a handful of targets. clinical testing is moving toward testing for many targets simultaneously. directs those patients into the most relevant clinical trials. collections of targets present in specific tumor types. each tumor will have a unique combination of genetic alterations. we can draw for directing that patient’s care,” Dr. Borger said. to better understand the differences among cells within the same tumor. changes in target signaling mechanisms. such as rheumatoid arthritis (RA). matching RA patients with those RA drugs that will be most beneficial to them. different patients respond differently to the over 15 RA drugs that are available. cannot wait for a trial-and-error treatment approach. about 50% improvement for only 40% of the patients,” said Dr. Deehan Kenney. who are likely to respond to anti-TNF therapy. tends to progress with tamoxifen treatment. negligible reactions with normal tissue. antibodies that were specific for tumors, but nonreactive with normal tissue. NPC-1C destroyed pancreatic cancer cells. that had exhausted all standards of therapy,” said Dr. Arlen. if the target is present, the patients can receive treatment with NPC-1C,” . (B) the small molecule metabolome. This means that they can profile large sample sets very quickly. LipoScience researchers are now using NMR to look for cancer biomarkers. to develop clinical assays that help to choose patient-specific therapies. to speed blood testing for HIV. faster, cheaper, and more sensitive than previous tests. that indicates the early and acute (and most contagious) stage of HIV infection. because of the dilution of reaction product into the reaction volume. trapping fluorescent reaction product in individual wells to prevent dilution. lowers nonspecific interactions and improves signal background. “A key need in many blood banking centers is high throughput,” Dr. Wilson said. banking is highly regulated, so introducing Simoa assays may take time. are likely to suffer from the same disease. helped us to get a better understanding of how a normal organism functions. helped to describe, classify and understand diseases. full understanding of the causes of diseases on a molecular, cellular or genetic basis. according to the affected organ or organ system. are considered to suffer from the same underlying pathology. causing the symptoms on a molecular level, remains often unclear. has not always resulted in the development of highly effective medicines yet. even discovered by chance. Examples include antibiotics, alkaloids, calcium channel blockers, immunosuppressants and cytotoxic agents. contraceptives or modern targeted medicines in oncology and rheumatology, of which the development is based on an exact understanding of the relevant mechanisms. doctors have no other choice than to optimize the treatment by trial and error. We now know that these patients are probably suffering from different diseases. the diseases have a different underlying pathology. 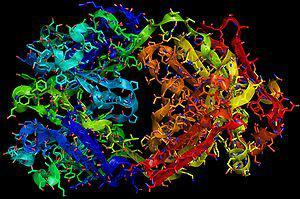 we still have a very limited understanding of the molecular processes in diseases. of developing a particular disease. Is “type-2 diabetes” a single homogeneous disease, for instance? but under specific circumstances may lead to diseases. These discoveries have helped us to understand and classify diseases in a new way. 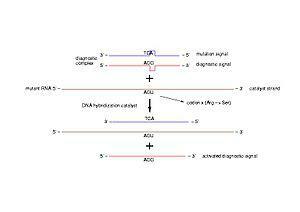 impact of specific genetic mutations on the clinical signs and symptoms of the disease. the consequences of the presence and functioning of critical proteins. since we are able to decipher the genetic code of a person. Lasse Tengbjerg Hansen , Adam Heathfield, Ph.D.
the search for predictive biomarkers is likely to change drug development research. Predictive biomarkers will change the way clinical trials are performed. Does the drug reach the target? Does it have the desired biological effect? Does it have an influence on other expected or unexpected targets? Does the drug affect characteristics that predict desired or undesired effects? to a specific kind of medicine. will prevent costly late stage attrition. that an optimal benefit-risk profile is only achieved in a subpopulation of patients. that might explain the underlying biological nature of the research results. because they are linked to the mode of actions of the compounds in question. we lack good model systems that predict drug response. the translation from animals to humans is not always successful. this had been attempted with ex-vivo systems in areas such as rheumatoid arthritis and Crohn’s disease. targets.While the application of such assays seems promising, it remains to be fully investigated. might be difficult to capture in peripheral blood samples. about the drug resistance as encountered in the oncology field. but patients with a specific EGFR mutation. we might conclude that the medicine does not have an appropriate benefit-risk ratio. but if tested on patients with the underlying mechanism we might come to the opposite conclusion. it is irrelevant whether the tumour is located in the lungs. based on presence or absence of specific biomarkers. relatively small subset of the traditionally defined patient population. For instance: traditionally we would test a drug on patients with breast cancer. similar disease pathway: e.g. Her-2 positive. assuming the tumours are caused by the same molecular mechanisms (e.g. m-TOR mutations). more homogenous, and response to treatment will be more consistent and predictable as well. subsequently can be further qualified in appropriate in-vitro, ex-vivo, in-vivo, or in-silico model systems. prior to implementation in clinical trials. personalised medicine program can be evaluated. in parallel with the clinical development program. applying data derived from early clinical trials to later stages of the program. but may also identify potential other and better biomarker candidates correlating with clinical outcomes. such as predicting clinical outcomes. & Drug Administration (FDA) and the European Medicines Agency (EMA). the qualification and validation of various types of biomarkers. pharmaceutical companies and diagnostic manufacturers. is likely to change drug development research. This chapter talks about turning biomarkers into companion diagnostics. be able to routinely classify patients in clinics. But the development of those diagnostic test kits has to be coordinated between two entities—pharmaceutical companies and diagnostic manufacturers—with rather different regulation. after it has been approved as an in-vitro diagnostic (IVD) test: i.e. a certified product, reagent, application or other tool that analyses human material and helps to diagnose patients. drugs and companion diagnostics are developed in tandem. that enables better decision making on the use of a therapy. specifically linked to a therapeutic drug. The goal here is to increase the safety and the efficacy of the drug. clinically useful biomarkers are usually established late in the drug validation process. In the next paragraphs we will elaborate on these issues. they can only be determined on the basis of the patients’ responses to the drug. had elicited better understanding of differential drug response. in the development of companion diagnostics. they have different development timelines, product lifecycles, return on investment, customers, and regulations. Drugs are valued and reimbursed as products, typically of high value. Diagnostics are valued and paid for as services,typically at a much lower value. Relatively few if any models exist for valuing a drug diagnostic combination. This issue will be discussed in the next chapter. biomarkers are considered to be within the public domain and there is less emphasis on intellectual property. biomarkers are not invented but already exist in cells. a large amount of data from expensive clinical trials to get a drug approved. there is little mention of clinical evidence. However, the EU IVD Directive regulating in-vitro diagnostics is under revision. which is expected to be changed towards a new risk-based approach. will improve safety and efficacy, but will also raise difficulties. performance characteristics required for fulfilling a clinical purpose. the risk level of the test. lead to higher costs and greater efforts for manufacturers. Phase III trials would benefit from well validated biomarker tests. by a clinical trial itself, and this is unlikely to be required for many IVDs. of (especially small) innovative companies to discover and develop biomarkers. dive into the universe of diagnostic practice in the EU a little deeper, because there is another challenging reality. lab developed tests (LDT’s), which are not regulated. reimbursement and preferences of the individual team. with a positive EGFR or KRAS biomarker. Some of the tests were in close agreement but, others were not. patients with a positive EGFR biomarker might be excluded from an effective therapy on false grounds. inconsistent patient selection for therapy. Improper patient selections will lead to poor therapy outcomes, or worse, to adverse reactions to drugs. to use the companion diagnostic test approved in the clinical trial. the quality of the testing will not improve. no rules for laboratories to perform substitute testing. towards increasing quality and safety than sharpening the rules for IVD manufacturers. diagnostic and therapeutic research together. instead of only requiring co-development. have proven to be effective without companion diagnostic tests. We would not want to rule those out. small innovative enterprises to enter the market. we now shift to a discussion of healthcare. 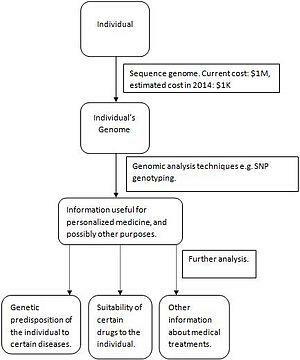 Personalized medicine has an impact on the healthcare budgets. suitable for analysing personalized medicine? respond the medicine, so that the treatment will offer better outcomes. optimistic that personalised medicine will improve efficacy, safety and public health”. 56% of managed care executives feel that personalized medicine will increase cost of prescription medicines. on cost-effectiveness and incentives innovation. medicines designed to treat the whole patient population. usually involve comparisons with treatment alternatives or palliative care. randomized controlled trials across a broad population of patients. identify sub-sets of patients that benefit most noticeably from the medicine, i.e. nor were they statistically well-sampled in the clinical data. raises the hope that economic evaluations will be more straightforward and positive. This is particularly true for the cheapest use of costly molecular targeted agents. and insure that the information is used to make better treatment choices. healthcare resources are likely to be used more efficiently. reduced overall treatment costs by more than € 800 compared to current treatment. the use of the FISH test reduced treatment costs by €12’500.6 In addition, it increased the life quality. also decrease the average research and development costs for new medicines. Clinical trials are the most expensive part of R&D (nearly 50% of the investment). increasing regulatory and other requirements. and in targeting relevant sub-groups of patients. the risky process of drug discovery and development. the late stage failure rate of new compounds has historically been higher than in any other area. therefore lead to higher unit prices in order to deliver competitive return on investment. to offset the reduction in potential revenues from market stratification”. they enlarge them as well (see chapter 2). or to screen out patients likely to suffer adverse events or who need different dosing. have in some cases passed the costs of diagnosis on to the medicines developer. to decide between a range of personalized medicines. less easy to ascribe costs of diagnosis to the use of a particular medicine. but in order to perform a health technology assessment you need the latter. According to a systematic review, only eight studies evaluated the clinical validity, andnone of the studies was a prospective evaluation of a test’s clinical utility. a different view on the clinical evidence available when a medicine is launched. a retrospective analysis of clinical data identifying the responsive sub-population. without overall survival end points). Current health economic research shows that personalization of treatment, i.e. the potential to improve effectiveness and reduce costs. In addition, biomarker testing may lead to more successful R&D projects. are necessary to encourage the development of personalized medicine. There has been consolidation going on for over a decade in both the pharmaceutical and in the diagnostics industry, and at the same time the page is being rewritten for health care delivery. I shall try to work through a clear picture of these not coincidental events. 4.1 Case in Point 1. 4.2 Case in Point 2. 4.3 Case in Point 3.